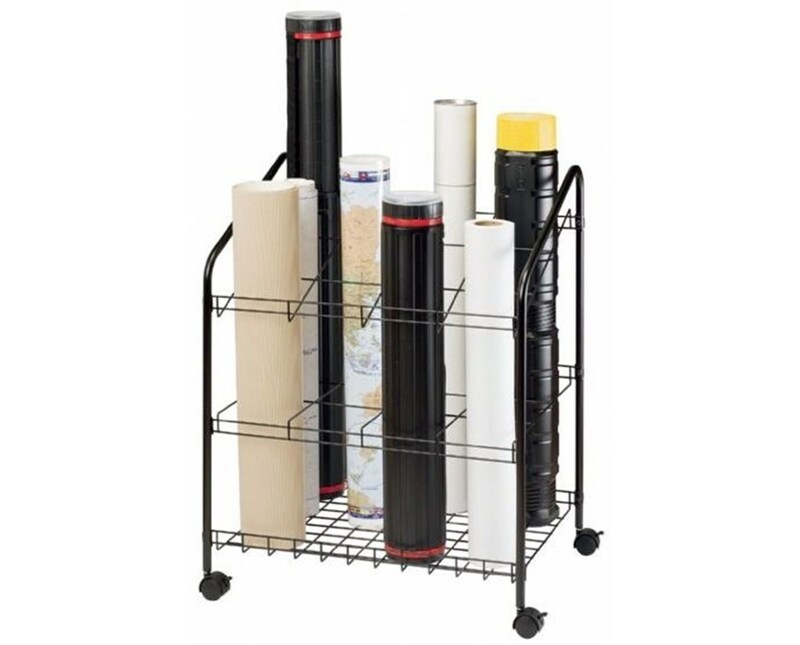 The Alvin Black Wire Bin Roll File is a functional and versatile storage tool for large format files such as blueprints, posters, maps, and other documents that can be rolled. It is available in 12-slot and 20-slot designs. Featuring square tube slots that measure 5½"W x 5½"L for the 12-slot model and 4"W x 4"L for the 20-slot model, it is a simple and convenient way of storing and organizing rolled files. It offers various slot heights to accommodate different file sizes. 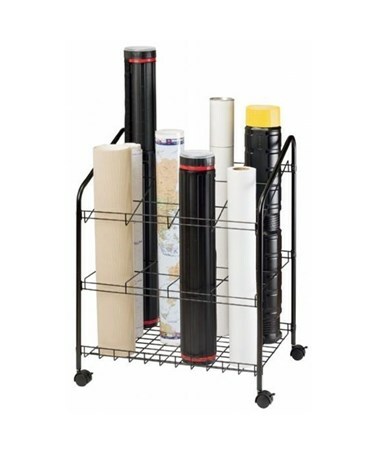 This heavy-duty wire bin roll file is made of heavy gauge steel rods with black plastic coating. This ensures durability and many years of service. It is 30 inches in height and 18-inch deep. 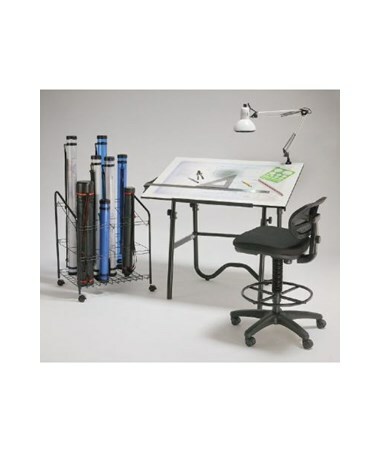 Equipped with four swivel casters, the Alvin Black Wire Bin Roll File provides maximum mobility. It is shipped flat and is easy to assemble. The Alvin Black Wire Bin Roll File offers two capacity variations to suit your storage needs. Please select your preference from the drop-down menu above.